Originally from Greece, these two lovebirds met on the island of Lefkada while holidaying with friends. Maybe it was the warmth of the Ionian Sea, the sleepy siesta afternoons, or the star laden nights filled with Ouzo – but Nick and Sotiria became smitten with each other. When the holiday ended, they knew one thing was sure, their story wasn’t to be stashed in the history books as another Greek tragedy. Like Romeo and Juliet, only without the poison and feuding families, these star-crossed lovers were forced apart for almost a year. Sotiria returned to her home city, and Nick to his. Finally, those pesky stars keeping them apart aligned, and they were reunited. After a trip to London, they both fell hard for the Big Smoke. Lazy Sunday afternoons the pub, the trundle of big red buses, and the bright lights. 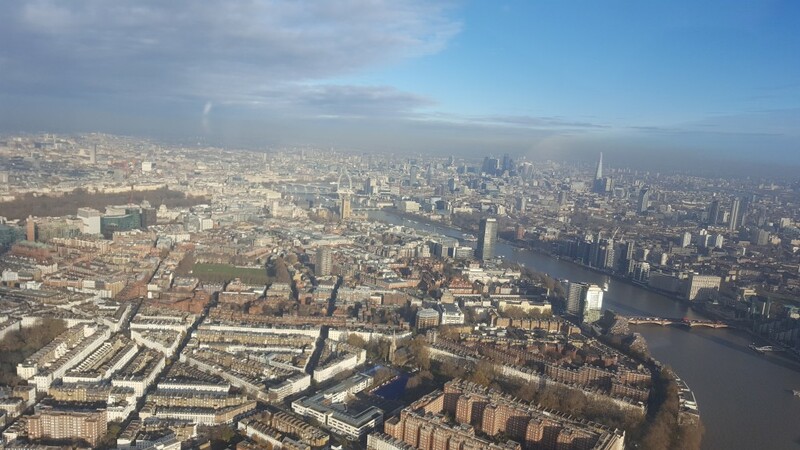 Even the slate grey skies and rain couldn’t deter them – they made up their mind to move to London and make it their home. 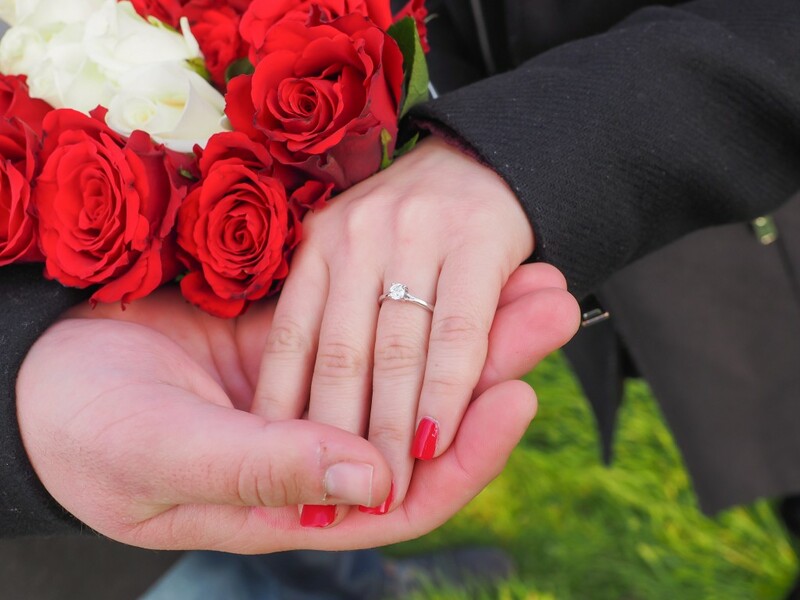 Nick had been dreaming and scheming of ways to make his proposal. Wracking his brains, he thought about an elegant escape in Paris- climbing the Eiffel tower, drifting down the Seine – it was the city of love after-all. But then, who hadn’t proposed in Paris? 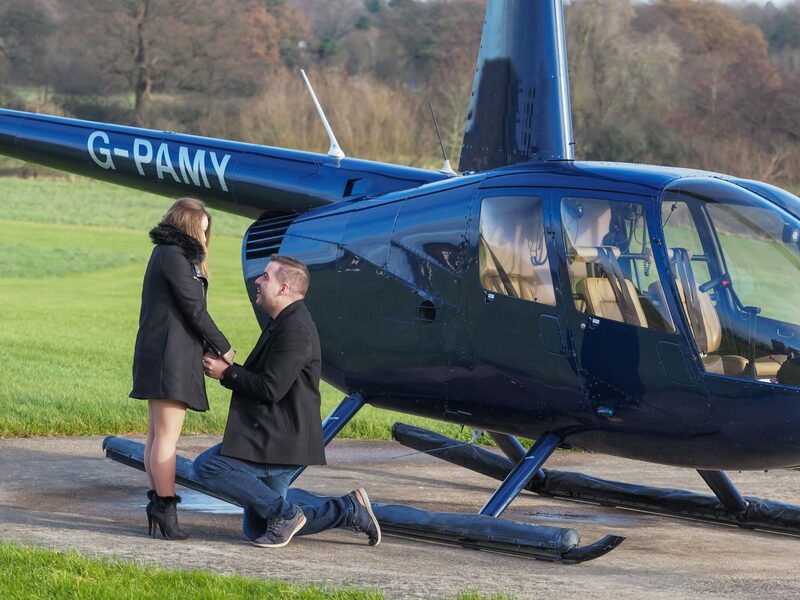 In the book of big popping the question ideas, Paris was always number one. Nick knew that his love was as unique as a fingerprint. And it deserved a special twist. 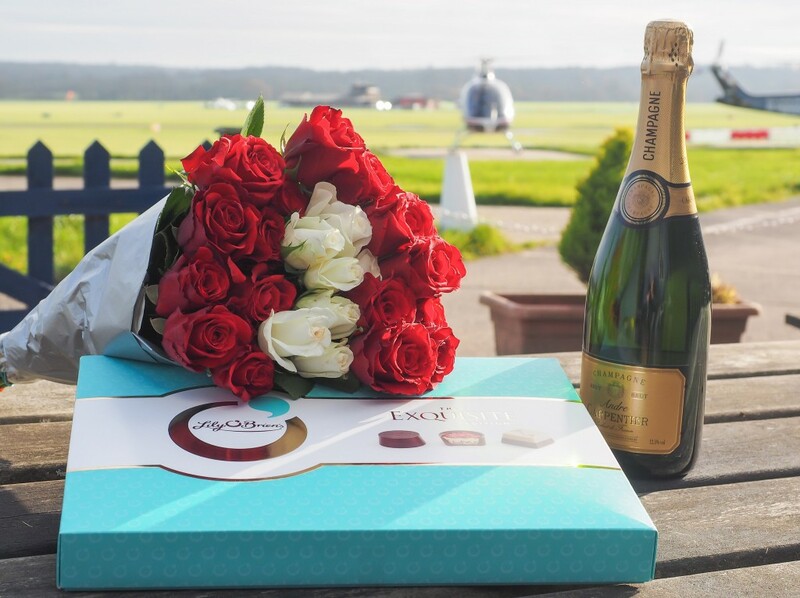 How do you propose to a girl who loves ice-skating, horseback riding, spending the day screaming up a storm at Thorpe Park, riding Segway’s, and generally guzzling from the cup of life? 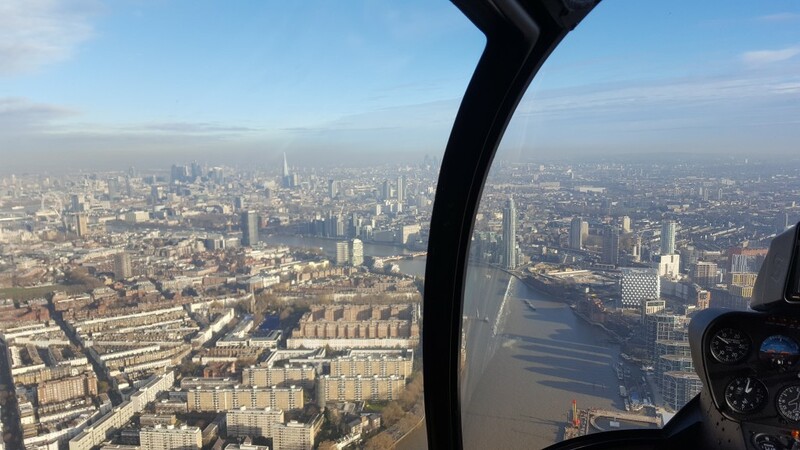 Why, in a helicopter hovering above the London skyline of course! So, that is exactly what Nick did. 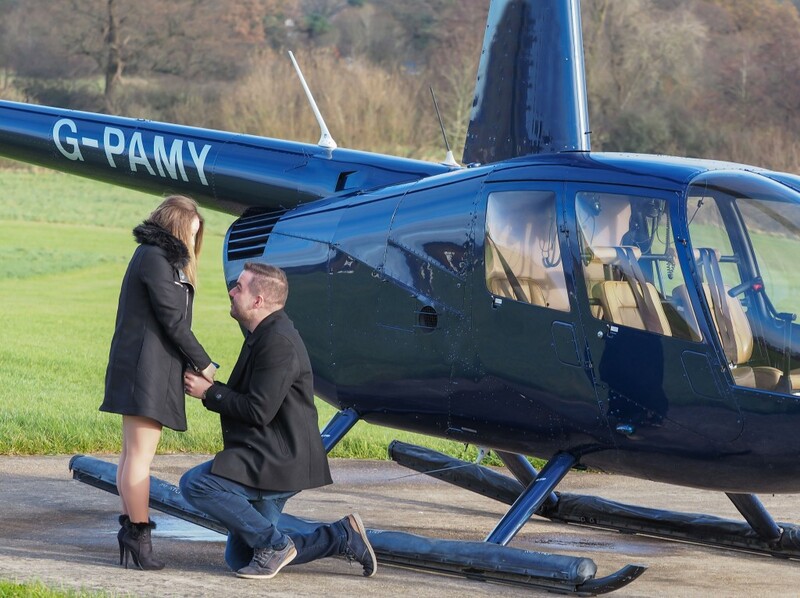 He arranged a London Proposal helicopter tour of a lifetime to literally whisk his future fiancé off her feet. 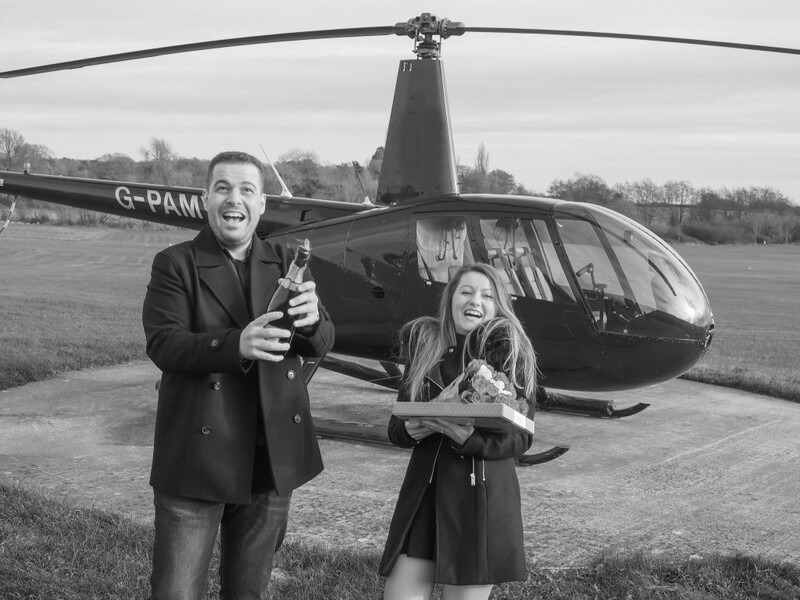 Sotiria was so excited about the surprise helicopter ride, she had no clue there was an extra treat instore. This is a couple with their heads in the clouds– paragliding was one of their favorite one-off pastimes, and they always talked about skydiving. Nick wasn’t sure he could have held onto the ring had he opted for a skydive proposal though…this seemed like the perfect solution. 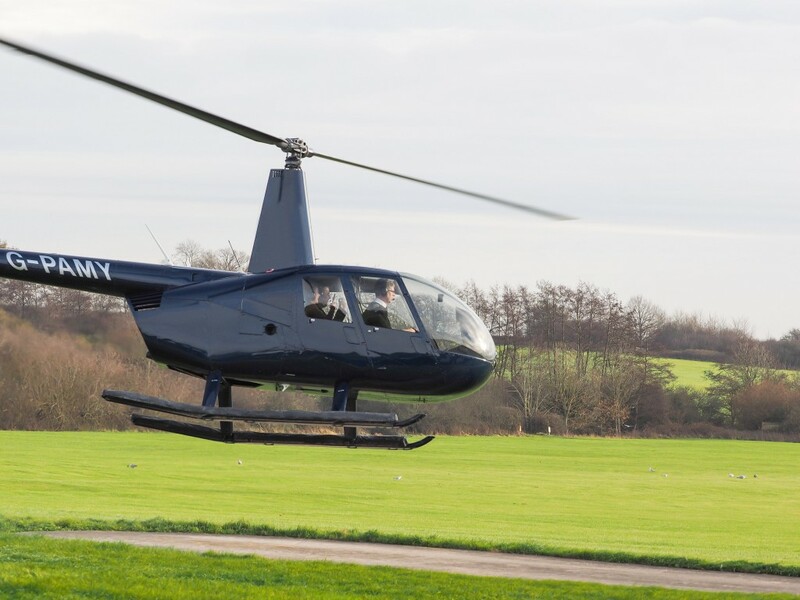 They took a romantic tour of London’s most famed landmarks; from the lavish grounds of Buckingham Palace to the silver glitter of The Shard, the turn of the London Eye, and the historic buildings of Westminster. Soaring above the city streets; the bars where they would later clink drinks with friends, laugh with family, and fall in love with each other all over again. 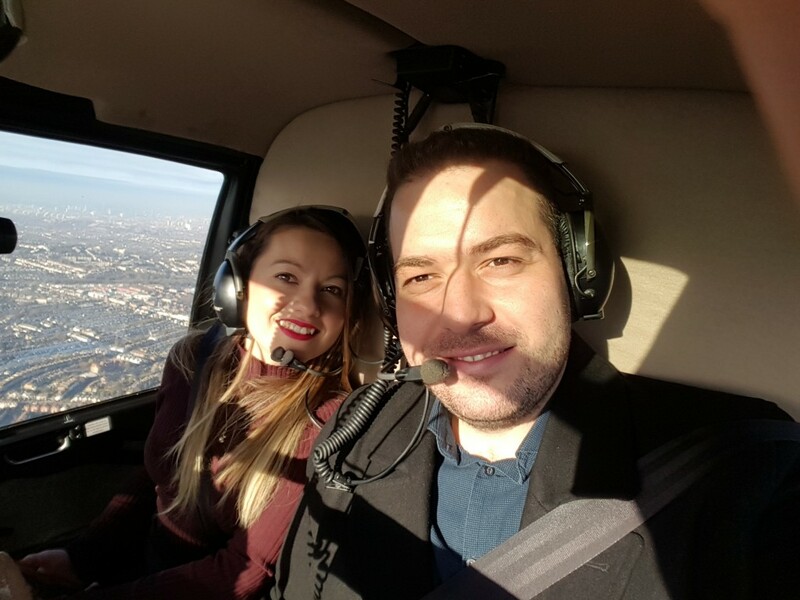 Nick kept schtum while in flight, which was just as well as Sotiria couldn’t tear her eyes away from the view. 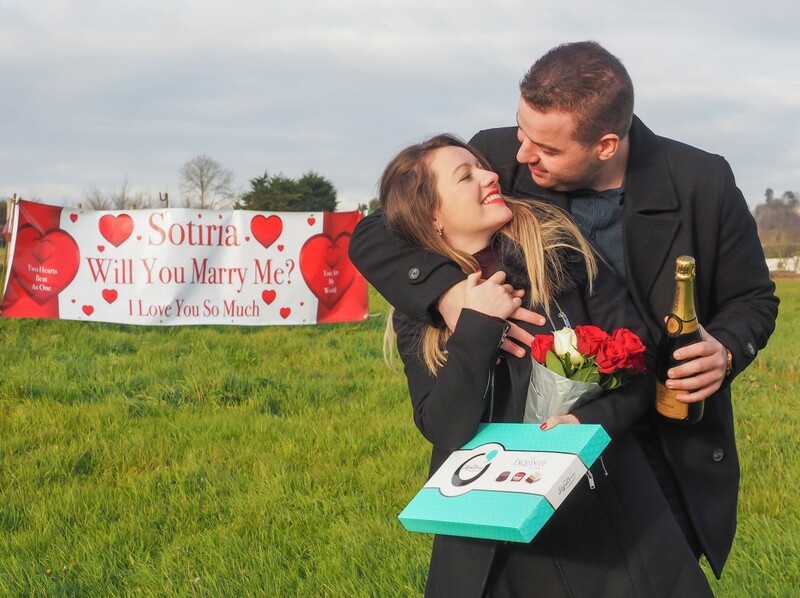 As the helicopter whirred to settle on the ground, a banner unfurled outside their window – it said ‘Sotiria will you marry me?’ with a gasp she whipped around, and there was Nick – ring in hand. Next year, Nick and Sotiria will return to Greece for the summer to throw their big shebang. They are planning a fully-fledged rambunctious Greek wedding, complete with all the trimmings. Expect toe stamping, flying rice, smashing plates, and enough Ouzo to last a lifetime.